(ii) the use of any information, documents, graphics, movies, features, music and/or other services on the website www.kalosport.com and associated Facebook, Twitter and Instagram pages. You need an e-mail address to book a camp or place an order. Making a booking on our website is easy. You are bound by your order once you have clicked the “proceed to payment” button at the end of the ordering process. By clicking the “proceed to payment” button, you send your order to us as it is displayed in the final check out screen. The purchase agreement has now been concluded. A copy of the automated order confirmation will be sent to your e-mail address. We strongly suggest that you print or download this copy for future reference. 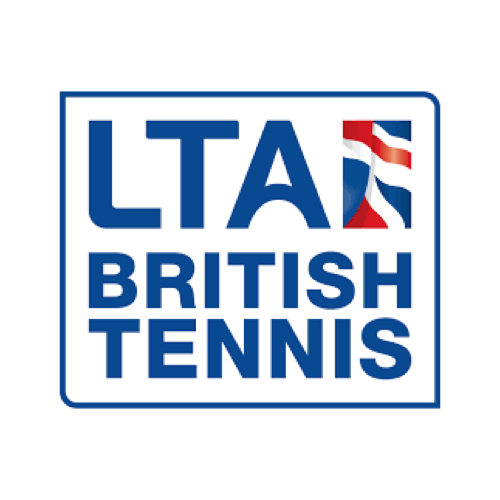 The main form of payment we accept for our Tennis and Football programmes is monthly direct debit. If you do not wish to pay via direct debit we can accept cash, cheque, BACS or childcare vouchers however, please note this must be for the whole yearly programme up front. 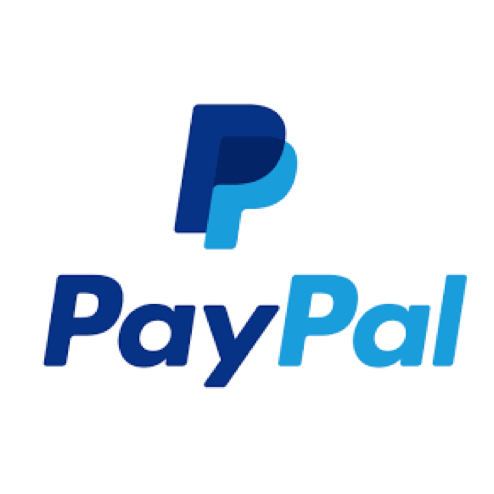 We do not accept any other method of payment than clearly mentioned on our website, as our system is not designed to process other payment methods. Please do not try to pay by any other way than specified. If you do, we will not be liable for loss of the payment or any other damages that may result from this action. If you wish to pay for any of our services via cash, cheque, BACS or childcare vouchers please call our office for further assistance on 020 8360 4273 during office hours (Mon-Fri; 9am-5pm). 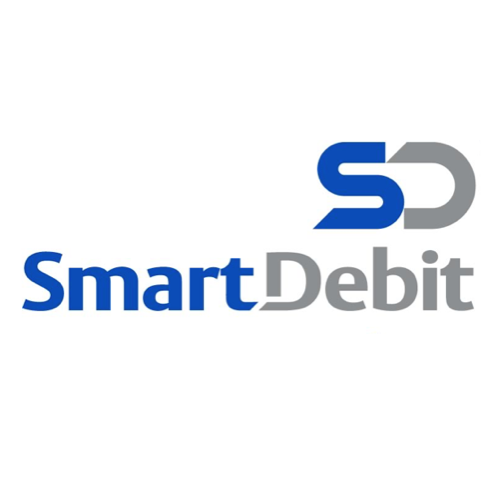 Kalo Sport Ltd uses Direct Debit platform SmartDebit to process direct debits for coaching services. Direct debits can be set up on any date and the first payment is to be issued the following 1st day of the month. In the case you wish to cancel your direct debit we must be given 5 working days notice prior to the end of the month in order for payment not to be taken for the following month. If we do not receive this we can not prevent the direct debit from being taken on the 1st of the following month and will not be held liable to issue a refund for this. 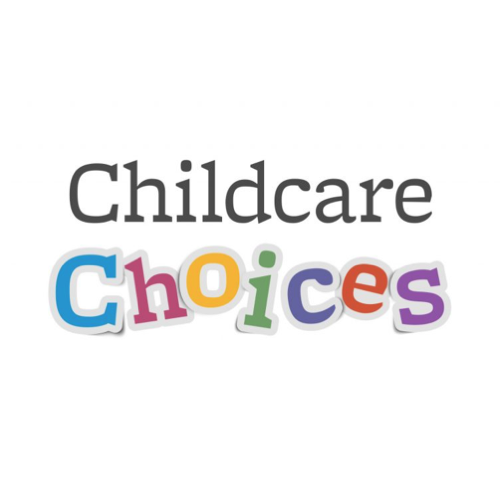 Kalo Sport Ltd accept payment for all of our services via childcare vouchers. We are currently registered with Edenred, Kiddivouchers, Fideliti, Busy Bees, Care-4, Sodexo, Computershare and Enjoy Benefits. We can take individual childcare voucher payments for any camp session booking. If you wish to pay for any of our term time coaching services via childcare we can only take this form of booking per yearly programme (not per month like the direct debit format). Payments can only be processed if the billing information can be verified. If you pay by credit/debit card, we will deduct the amount due from your account as soon as our system registers your booking onto one of our camps and/or merchandise products leave our warehouse. Kalo Sport Ltd is a VAT registered company (267 789042). 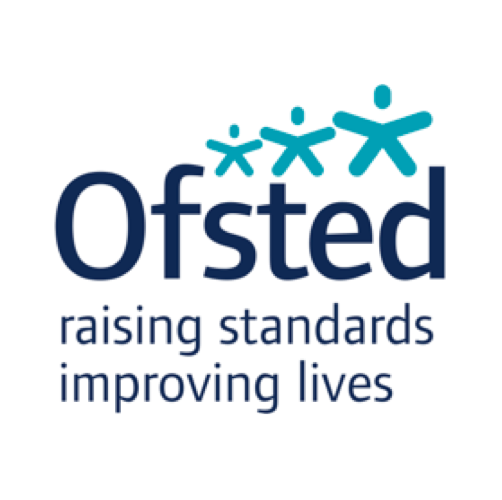 All prices include VAT at 20% rate unless childcare related to our Ofsted registered sports camp and paid via childcare vouchers or children’s clothing (VAT exempt). The total price specified in the final check out screen is the final price. The prices are quoted in the order confirmation of receipt of your order as well, which you can print or download for future reference. If you are paying by credit/debit card, the total amount for your entire order will be reflected on your statement. Please note that even though the website is composed with care, it is possible that errors in pricing information on our website may occur. We are not bound by our offer and we reserve the right to cancel your purchase in the event of such error. 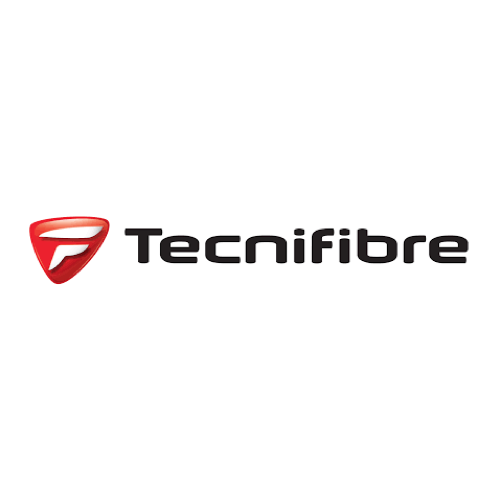 – but not limited to – damages resulting from failure or delay in delivery of electronic communications, interception or manipulation of electronic communications by third parties or by computer programs used for electronic communications and transmission of viruses. Kalo Sport Ltd reserve the right to reject a refund claim if made after 48 hours prior to the session to be attended. In the event you wish to cancel a Kalo Sport camp booking for whatever reason, we will issue a full refund providing you have contacted us NO LATER THAN 48 HOURS BEFORE the commencement of the camp session booking to be cancelled. The camp session to be exchanged falls within 12 months of the original booking date (this may also be subject to possible price change). Providing our terms are met in sections 3.2, 5.1 & 5.2, a full refund may be issued. In the event we reach full capacity on our camps we will notify the public on our website and it will not be possible to book a place on any week of camp which is full. Kalo Sport Ltd reserve the right to reject any customer who turns up on the day without a booking due to being at full capacity. We shall not be liable for damage incurred by a third party resulting from the use of any of our products. We shall not be liable for damage incurred by you as a result of your improper use of any of our products. We are not liable for damages as a result of incorrect information on our website. The operational hours of Kalo Sport camps are from 8:30am to 5:00pm. 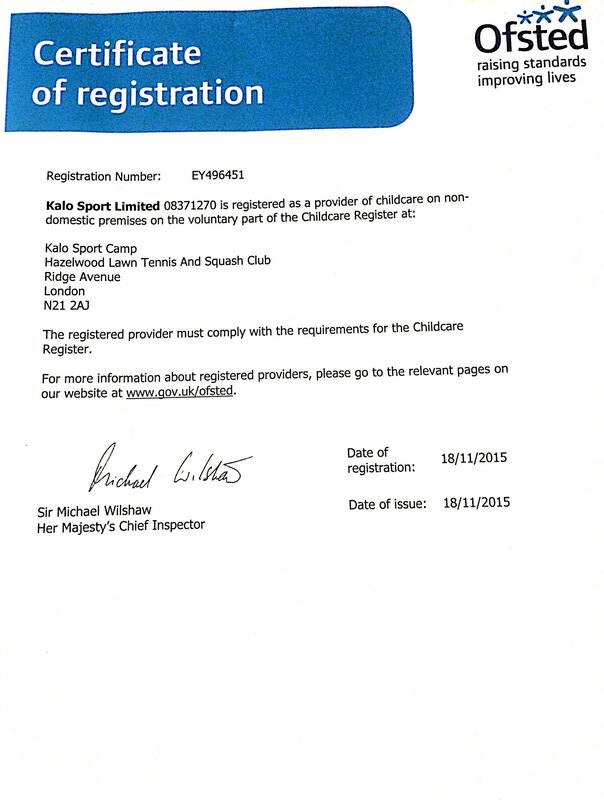 Our service is held a t the privately owned Hazelwood Sports Club, Winchmore Hill which is a non-domestic setting. During this time the safety and welfare of any registered individual participating in a Kalo Sport camp is our responsibility. Please see our Statement of Safeguarding Procedures document for information about the stringent safety measures we ensure are always adhered to. the safety and welfare of ANY individual who is not registered on a Kalo Sport camp. Theft of items belonging to individuals registered to attend our camps as a result of their own negligence (please note that for valuable belongings/money we will operate a camp ‘Bank’ whereby individuals can leave such items with us to be locked away during camp hours). If you post any ideas, remarks, questions, data, graphics, opinions, designs, or other information on our website and/or social media pages, or if you send such User Generated Content through the website to Kalo Sport, this will become the exclusive property of Kalo Sport. The User Generated Content will be deemed to be non-confidential and we will be entitled to use or disclose the User Generated Content in any manner whatsoever, without liability or notice to you. The User Generated Content or any other information you send to the website/social media sites should not be, or contain, material that is offensive, pornographic, defamatory, blasphemous, unlawful or likely to infringe any applicable law, whether civil, criminal or religious. You agree that all material submitted to us is original to you, and not copied in whole or part from any third party. Please do not send anything that is required to be kept confidential. Kalo Sport does not, and you agree that Kalo Sport has no obligation to, review the User Generated Content, that Kalo Sport is not in any manner responsible for User Generated Content, that Kalo Sport does not guarantee the accuracy, integrity or quality of User Generated Content, and that Kalo Sport cannot assure that harmful, inaccurate, deceptive, offensive, threatening, defamatory, unlawful or otherwise objectionable User Generated Content will not appear on the website/social media. You acknowledge that by providing you with the ability to access and view User Generated Content on the website/social media, Kalo Sport is merely acting as a passive conduit for such distribution and is not undertaking any obligation or liability relating to any User Generated Content or activities of users on the website. Without limiting the generality of the foregoing, you acknowledge and agree that the information, materials and opinions expressed or included in any User Generated Content are not necessarily those of Kalo Sport or its affiliated or related entities or content providers. You acknowledge and agree that Kalo Sport has the absolute right to monitor User Generated Content posted to the website/social media in its sole discretion. In addition, Kalo Sport reserves the right to alter, edit, refuse to post or remove any such User Generated Content, in whole or in part, for any reason or for no reason, and to disclose such User Generated Content and the circumstances surrounding their transmission to any third party. You agree that we do not have any obligation to use or respond to any User Generated Content. You agree that you shall immediately notify Kalo Sport in writing of any objectionable content appearing on the Website. Any use of any content on the website/social media, including, without limitation, User Generated Content, will be at your own risk. You acknowledge and agree that Kalo Sport is not responsible for any User Generated Content that purports to give medical advice or advice regarding fitness training, exercise, or diet. Always seek the advice of your physician or other qualified health provider with any questions you may have regarding a medical condition or a physical fitness program. You may not post or otherwise distribute content to the website which Kalo Sport in its sole discretion determines to be abusive, harassing, threatening, defamatory, obscene, an impersonation of others, fraudulent, deceptive, misleading, in violation of a copyright, trademark or other intellectual property right of another, invasive of privacy or publicity rights, in violation of any other right of Kalo Sport or another party, illegal, or otherwise objectionable to Kalo Sport. You may not upload commercial content on the website/social media pages or use the website to solicit others to join or become members of any other commercial online service or other organisation. To the extent you own the intellectual property rights in the User Generated Content, these shall be transferred by you to Kalo Sport the moment you post the User Generated Content on our website/social media pages, or send it to Kalo Sport. 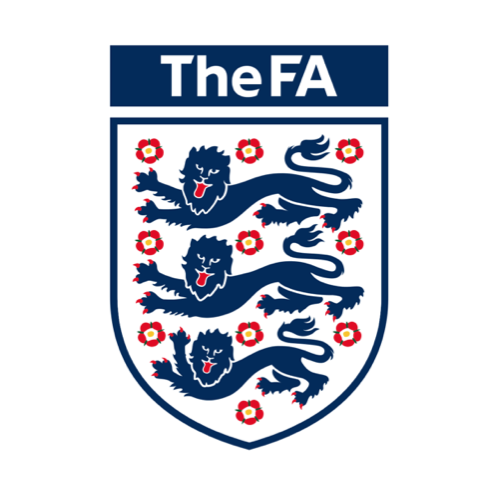 These general conditions and all disputes arising in connection with these general conditions, including the validity thereof, or with the use of the website or with any purchases on the website shall be governed by the law of England and Wales. Even though Kalo Sport has composed its website/social media pages with care, the information, texts, documents, graphics, movies, music and/or other services on them may contain errors or be otherwise incorrect or incomplete. Kalo Sport shall not be not liable for any damages resulting from the use of (or inability to use) the website/social media, including damages caused by viruses or any incorrectness, or incompleteness of the information, unless such damage is the result of any willful misconduct or from negligence on the part of Kalo Sport. Our website/social media provides links to external Internet sites. Kalo Sport shall not be liable for the use or the content of Internet sites that link to this site or which are linked from it. 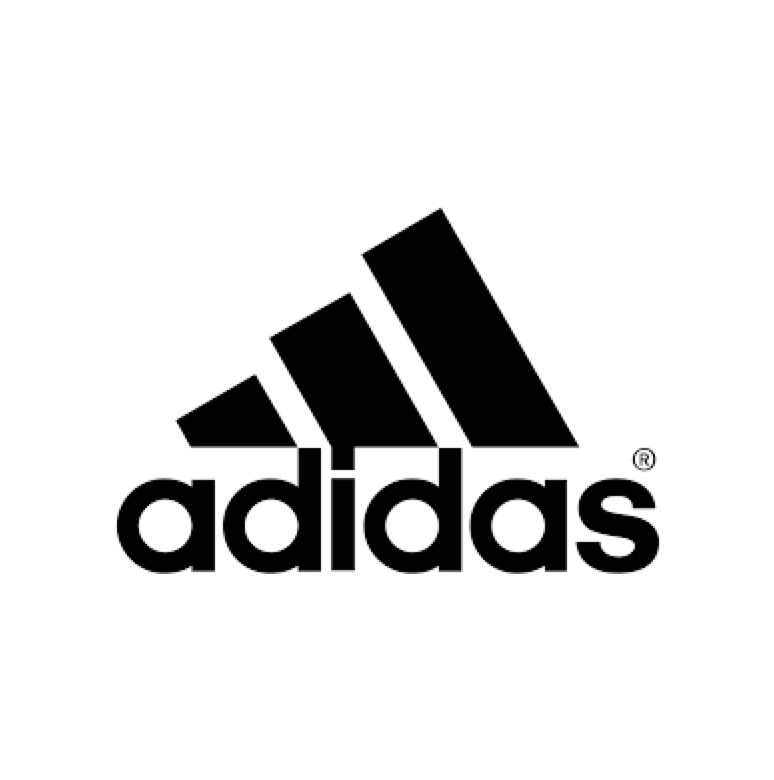 All brand names, product names and titles used on the website are trademarks or trade names of Kalo Sport Ltd, AFC Southgate or third party trade mark or trade name holders. You are not allowed to use of reproduce any such trade marks or trade names as this may constitute an infringement of the holders’ rights. All website design, texts, documents, movies, music and/or other services and the selection and arrangement thereof, and all software compilations, underlying source code, software and all other material on this website are the copyright of Kalo Sport or its suppliers. You are only allowed to electronically copy and to print in hard copy portions of the website to the extent this is necessary for the purpose of placing an order with us, or for using the website as a shopping resource. You are not allowed to make any other use of the information and materials on this website, including reproduction for purposes other than those noted above, modification, distribution, or republication. Should you wish to use materials or information from this website, you need to obtain Kalo Sport’s prior written consent. Over recent years we have noticed more and more children coming to our camps with their own mobile phones, electronic tablets and handheld games machines. This is obviously happening in widespread society with the younger generation and of course we at Kalo Sport operate our camps with the intention of encouraging children who attend to enjoy our facilities and coaching for sport and alternative activities only. However, we do not have an issue with children bring their own electronic devices for use at break and lunch times ONLY. We ensure that staff monitor children at these times and ensure that content being watched or played (particularly with older children) is suitable for all ages. We also will ensure that such devices are to be used by the owner ONLY. It is at a parents’ discretion as to whether their child comes to camp with an electronic device and we will not be held responsible for damage or theft/loss. All devices are to be kept in the clubhouse at Hazelwood Sports Club at all times.